"A magyar villamosok nem lilák, hanem sárgák." Translation:Hungarian trams are not purple, but yellow. It's true: the Hungarian trams ARE yellow! What is the difference between sárgák yellow and citromsárga yellow?  "Purple" is a collective colour description of many blue-reddish hues, of which violet and crimson (what you call "pourpure") are sub-categories. streetcar is used in North America. tram is used in Europe and Australia inter alia. In Toronto: streetcar but in Montreal tram (both in English and French). DL should accept both as is done already for color and colour. why isn't it THE hungarian trams? Because the English object "Hungarian trams" is already definite. Eh? I don't think so, no more than "green trams" is definite. There can be Hungarian trams and Japanese trams, blue trams and big trams -- none of them are definite. "Hungary's trams" would be definite. That's what I was thinking. Maybe the speaker is at a tram fair. Trams lined up from different makers all around the world. The ones made in Hungary are yellow but that's not to say that all trams in Hungary are yellow. As far as I know, the Hungarian could mean either -- "the Hungarian trams" (that are relevant to the context) or "Hungarian trams" (in general). If needing to specify some definite, particular trams, you could use the demonstrative: Azok a magyar villámosok blah blah blah. Because "a magyar villamosok" is a general statement which in English usually drops the "the" but in Hungarian always needs the "a". ljikontic I'm English and have been attempting to learn Hungarian for years! I've only ever been taught that lila means lilac (the colour of the flower) and bibor means purple. Lila is a general word for purple hues. Bíbor is more towards the red end of the spectrum (i.e. crimson), and ibolya (lit. "violet (flower)") is more towards the blue end (i.e. violet). Thanks. Does this Wiktionary page help anyone? https://en.wiktionary.org/wiki/lila#Hungarian. Colours and their descriptions can be very subjective but this seems to support RyagonIV's contention.